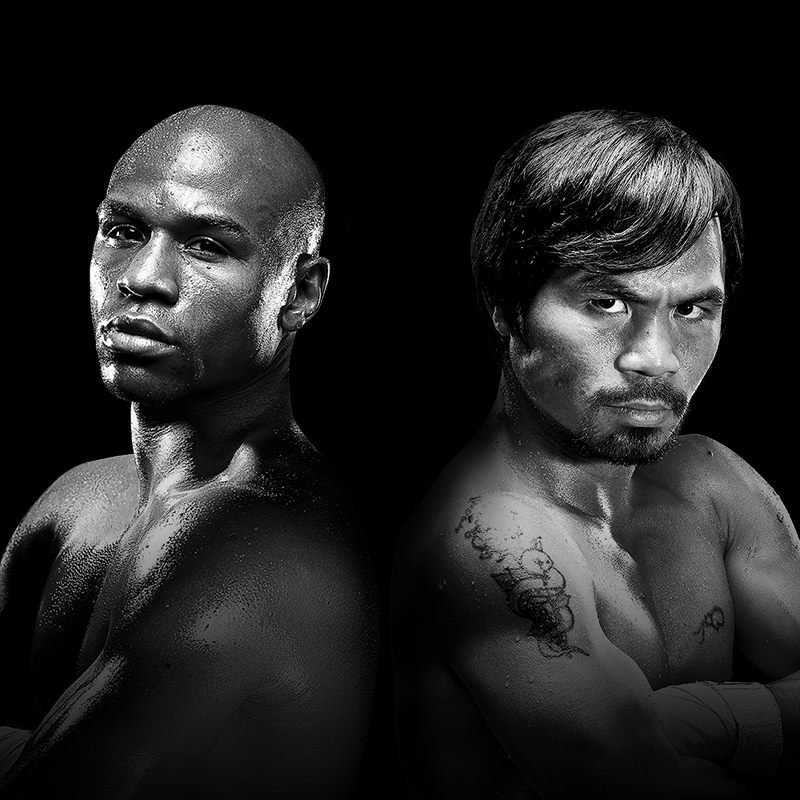 Choosing Sides: Team PacMan or Team Money? Boxing fans waited for five years. Now with the Floyd Mayweather versus Manny Pacquiao megafight less than two weeks away, people are choosing up sides. Are you Team Money or Team PacMan? Anyone can make a prediction. 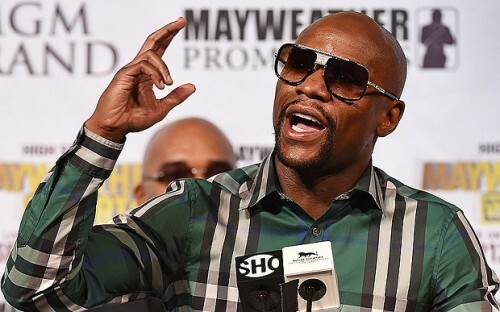 But when a current or former champion gets on board the Floyd Train or the Manny Train, you’re much more likely to take stock in his opinion. Some will be colored by loyalty to the fighter in question, but it’s still an interesting barometer of this closely watched bout to tally the votes. For the Pound 4 Pound Boxing Report, we’ve gathered up the names and quotes from those who have put their own reps on the line and made the call. In Part One of our two part series, we look at the names backing the challenger. Mike Tyson: Tyson was one of the first big names in the sport to get behind Pacquiao. In numerous interviews and on his YouTube channel, Tyson says helikes Pacquiao’s speed and mobility. “He moves and feints, he’s in perpetual motion.” Tyson says as long as Pacquiao stays busy, he’ll win. Erik Morales: “El Terrible,” beat Pacquiao in a unanimous decision in their first meeting in 2005. Pacquiao came back to get a tenth round TKO win and then a third round knockout of Morales the following year. Morales told boxing reporter Radio Rahim Pacquiao will win over Mayweather due to his speed and strong legs. Morales says Pacquiao has more “heart and machismo” than Mayweather. Miguel Cotto: Cotto gives Pacquiao the edge based on his trainer, Freddie Roach, who also happens to now be Cotto’s trainer. “After working with Freddie I think Freddie will be huge in the fight. 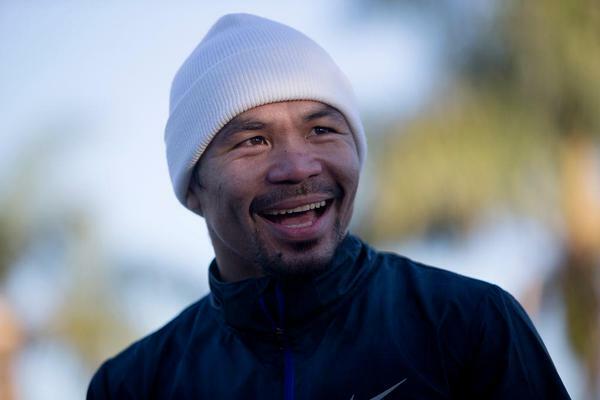 I’m going for Pacquiao,” said Cotto. Evander Holyfield: Holyfield’s take on the fight comes from a cynical place. He believes neither fighter will get a knockout, and that in a decision, Pacquiao will get the nod. “Mayweather won’t win, because from what I’ve seen, boxing doesn’t want nobody to get out [of the sport] undefeated… Manny Pacquiao will win a close decision.” Holyfield says Pacquiao has to cut Mayweather off and corner him to be successful. HBO analyst Roy Jones Jr. thinks Manny Pacquiao will take a decision victory, because he will be the more aggressive man in the ring. “Yes, it will live up to expectations. Freddie Roach doesn’t believe all that laying back and not taking risks. The fighters are the same two fighters they were five years ago. Beristain thinks Pacquiao can take away Mayweather’s unbeaten record. “I think Pacquiao has a 45 percent chance, Mayweather is favorite but only just (by little),” Beristain said. “I always liked Pacquiao better for his commercial style. People gladly pay to see him fight. And the other, as we know, (has) a defensive style but has many resources.” Not a ringing endorsement, but Beristain is measured with his remarks the most of the time. NEXT: In Part Two of our series, we see who’s betting on the champion.